إذا كنت تبحث عن فندق بموقع جيد في أديليد، فقد وجدت ضالتك في RNR Serviced Apartments Adelaide . يقع الفندق على بعد 0. Km من مركز المدينة، ويؤمن الوصول إلى أهم مراكز المدينة. يضفي محيط الفندق اللطيف وقربه من The Market Shed on Holland, ‪SeaLink Kangaroo Island - Day Tours‬, Gilles Street Market سحراً خاصاً على هذا الفندق. 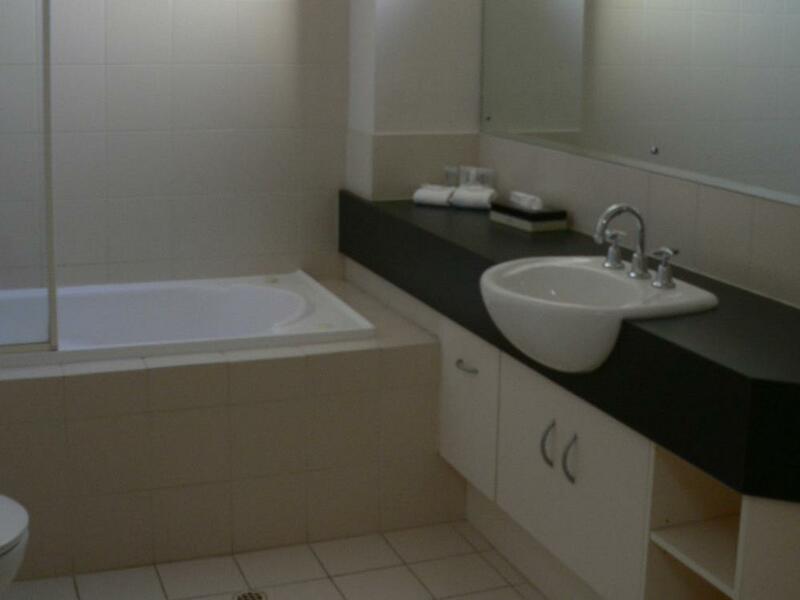 يعمل RNR Serviced Apartments Adelaide على ضمان إقامة مريحة لضيوفه من خلال خدماته الممتازة وحسن ضيافته. يقدم الفندق تخزين الأمتعة, صف السيارات, رعاية أطفال, غرفة عائلية, جولات لضمان الراحة القصوى لضيوفه. تتضمن كل غرف النزلاء وسائل الراحة والتسلية المصممة خصيصاً لضمان الراحة القصوى للضيوف. كما أن مجموعة الخدمات الواسعة الموجودة في الفندق لضمان راحتك تترك لك الكثير من الخيارات لقضاء وقتك أثناء فترة إقامتك. إن RNR Serviced Apartments Adelaide هو خيارك لخدمة الفنادق الراقية في أديليد. الاستقبال مفتوح من الاثنين إلى السبت، من 8 صباحًا إلى 8 مساءً وأيام الأحد من 8 صباحًا إلى 6 مساءً. يجب على النزلاء الاتصال بالفندق مباشرةً إذا كانوا يتوقعون الوصول خارج مواعيد العمل. النزلاء الذين يقومون بتسجيل الوصول بعد ساعات العمل سوف يحصلون على تعليمات محددة خاصة بتسجيل الوصول. يمكن إيجاد تفاصيل الاتصال بالفندق في تأكيد الحجز. 1)Dishonest Staff, provided false informational to my clients. Hotel changed my booking without any notice, however they told my clients that they have already inform me. when I call them, they told me another story. 2）Fraudulent Conduct, I have 7 clients (6 adults and 1 infant), I booked for a 3 queen beds apartment, they offer me a 1 queen bed and 3 single beds apartment, which is not enough for everyone. They promised me that my clients will have 3 queen beds for the second night, unfortunately, when I ask them the next day, they refused to offer 3 queen bed, they can offer me 1 queen bed, 3 single bed, and put 1 small folding bed and they will not be charge for the extra bed. This is not the way to do business. 3) Worst Reputation 4) I have to cancel the second night booking and make another booking from somewhere else, the hotel refused to refund. They said I break the contract, so they will not do the refund. I didn't get what we paid for, who break the contract????? WORST!! All of the beds in our appartment were shocking. We ended up having to fold the doonas into quarters and sleep on top of them to get some cushioning which meant we had to sleep in separate beds. The worst mattresses we have ever slept on and we are frequent travellers. You’ll need a tiny car to get into the garage which they charge extra for but it’s part of the apartment. Ridiculous!!!!! The dryer was faulty and didn’t stop. The portacot was broken. The floor on the bottom level was disgustingly dirty. Walked in it barefoot for 10 minutes and my feet were black! I reported it all to reception but some of these items would have been obvious before we stayed. Garage is quite small. Don’t go with a big car. You may need to park outside. Rooms are okay. You need to pay for the WiFi. Quite clean. With dish washer, washing machine and clothes drying machine. All good. The apartment was comfortable and within a few minutes walk to Chinatown, the market and the free city tram and tram to Glenelg. It was about 20 minutes comfortable walk to the town centre. Staff were friendly and helpful. The stay was amazing, the apartment was big and spacious with a balcony, though the checking in was a bit of a hassle (different location). Location was strategic and well plan. Above satisfactory overall! Concerns - no mention of deposit during or after booking - was shocked to learn about the $300 deposit which is almost 2x the booking fee - weird rules like you cant stand in the balcony upstairs after 10 pm. Possible fine if you do that. - garage space small if you have a big car - the number of donts is endless - laundry facilities didnt work Positives: Good location The girl at the reception was awesome and went out of her way to help. Im sorry i cant remember ur name but thank you. Dear Guest, thank you for your stay, we have brand new beds with different sizes & grades, we will investigate, please contact us on any requirements. It was good to have 2 bathrooms and a laundry. The beds were comfortable. The garage is small and takes awhile to get in and out of carpark so it would be no good if you have a big car. You do get woken up at 5:30am with planes going over so no sleeping in. The customer service from the receptionists were great however when I asked for a call to confirm when the apartment will be available for early check-in, my number was taken down wrong and so I didnt receive the call. I could only suggest that the receptionist look to the original booking to confirm the contact details and they would have seen the correct number to use. Outside of this, their service was fantastic. The apartment was lovely too, my only complaint is that the mattress in the master bedroom is well past its date for replacement; it is all lumpy and the springs are out of alignment, leading to a terrible night's sleep. 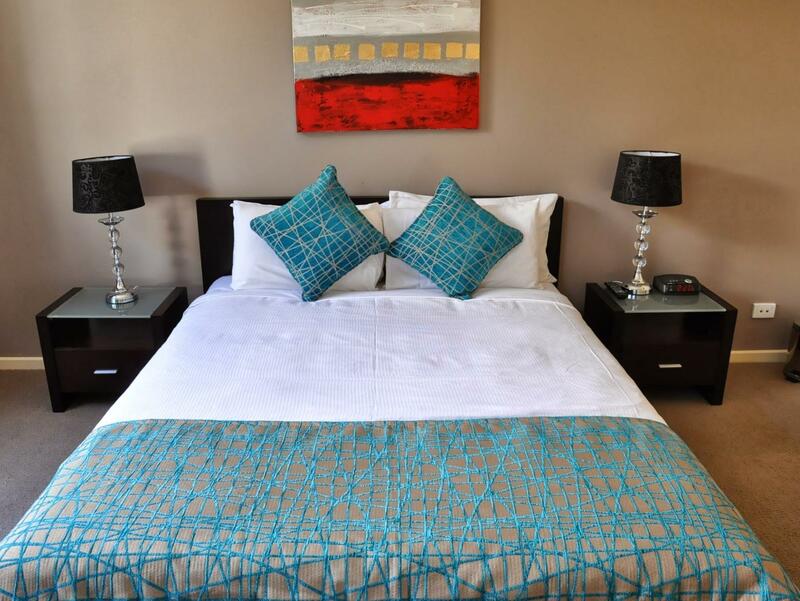 I will definitely be recommending RnR Apartments and will look to use them again myself. Next time I'll check to see if there's a better mattress within one of the other rooms first, before deciding which room to stay in. Thank you for your stay, remorse to the issue, we do have stair gates & will investigate & can provide accommodation with no stairs, please advise on any requirements. Fantatsic stay, very comfortable and they are even posying my sons soft toy that got mixed up in the laundry back to us. Very grateful indeed. Clean, nice and close to everything. Very pleasant, highly reccommend if you are after a nice clean self contained accommodation. Thank you for your review, we would love to see you back. the 3 bedrooms were nice. THe towels were not changed every day. Then on the last day the team of cleaners arrived before checkout time and started cleaning while I was still in my room. This was disconcerting and spoiled the whole check out. If checkout time is advertised as 10 am then the cleaners should not ask to enter while guests are still packing up before this time. the garage was extremely difficult to park in. the air conditioning was really noisy. there was no bath plug. Very pleasant. Couldn't fit my standard size SUV in the garage though as it was tiny and the lane very narrow so it had to get parked on the street. No on site restaurant or room service but the pub next door let you take away meals which was great and Tuesdays they have $10 schnitzels! The place was fine, but they CHARGE for internet access. If you're connected, avoid.